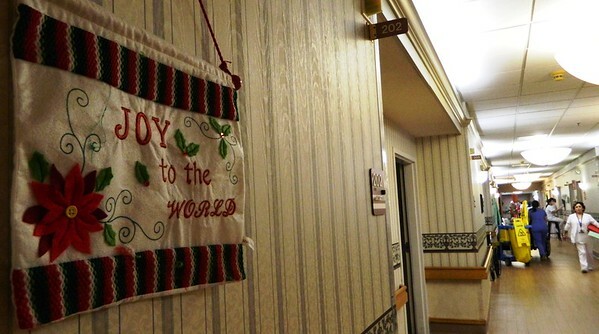 NEWINGTON - Christmas in a nursing home is still Christmas. 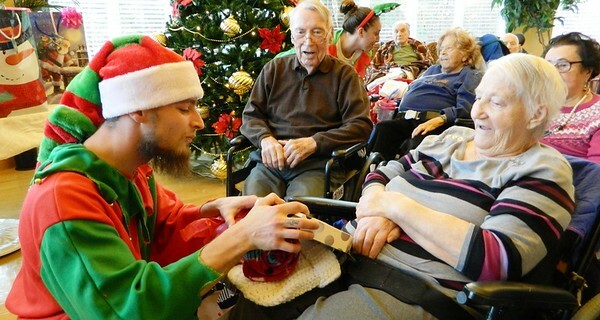 At least it is when staff and the local community join forces to make the holiday special for elderly, chronically ill and wheelchair-bound patients and residents. 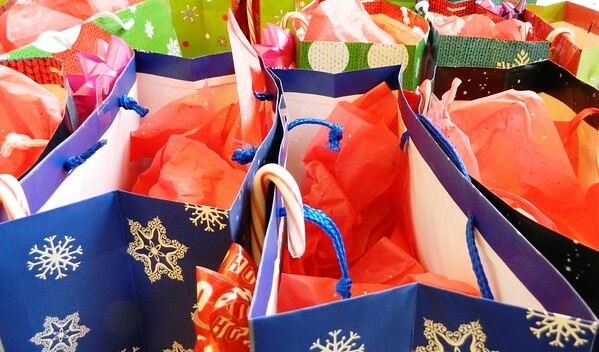 Gifts were purchased for the home’s 40 residents, including slippers and cologne for the men and body lotion and fuzzy socks for the women. 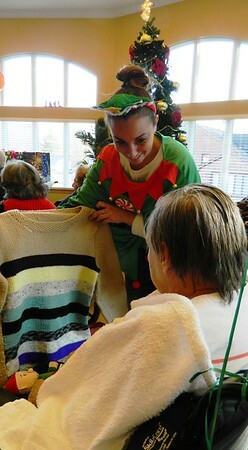 Everyone received warm blankets and hand-knit hats or scarves as well. The Chapel co-founder Dee Wiltshire joined the effort in its second year. She and her husband, Rev. Jim Wiltshire, gave a generous donation to the gift fund. Resident Lucy Rucci had been staying at Bel-Air the last three weeks. Bel-Air Director of Recreation Therapy Sue LePage helped wheel out Rucci and several other residents from their rooms into the atrium, a window-walled area with lots of sunlight, where the party was set to take place. 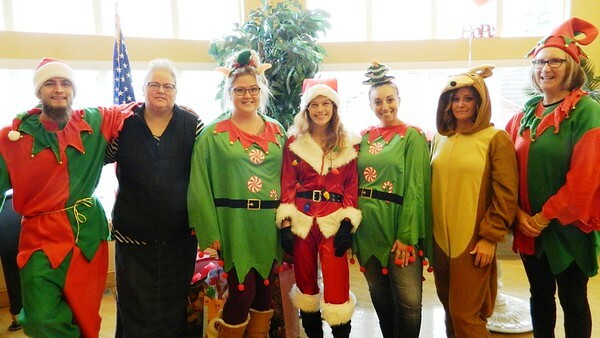 Ferrari’s Appliance owner Stacey Ferrari handed out presents with her adult children and store employees Desiree and William Herens, along with manager Mikayla Anderson. They all dressed up as elves or reindeer. 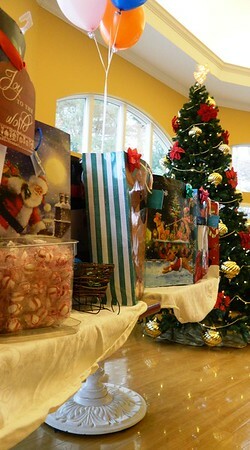 Desiree wore a Santa costume and carried a big, shiny bag with treats inside. 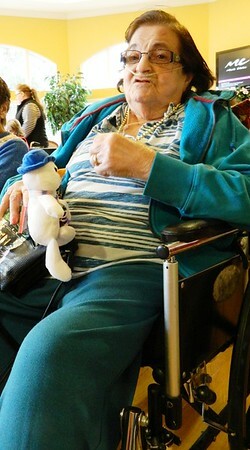 Most of the residents sat quietly, in awe of the holiday lights and costumed characters buzzing around them. 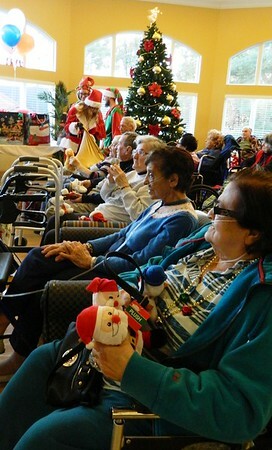 They also watched performer Jim Sheehan, singing and playing Christmas carols. Marie Batista sang along, clapping her hands and expressively thanking the visitors for her gifts. Posted in Newington Town Crier, Newington News on Thursday, 20 December 2018 08:39. Updated: Thursday, 20 December 2018 08:41.